The Virginia Equine Alliance (VEA) announced it will fund a new starter reward program for the spring Point to Point races, with the goal of increasing participation in the series which begins March 16th. Every time a Virginia-owned or Virginia-trained horse makes a start in any Point to Point race, the owner will receive a $200 starter reward. The bonus is designed to increase steeplechase participation at all levels, from owner-rider divisions to open hurdle and timber divisions. The spring “Point-to-Point” season begins March 16trh and continues thru April 28th. The spring schedule, which runs from March 16 – April 28, features a Point to Point meet on seven consecutive weekends. In order, they will be held in Warrenton (Warrenton Hunt), Upperville (Piedmont Fox Hounds), Middleburg (Orange County Hounds), Ben Venue (Old Dominion Hounds), Leesburg (Loudoun Hunt), Berryville (Blue Ridge Hunt) and again in Middleburg (Middleburg Hunt). More details are available at www.vasteeplechase.com and at www.centralentryoffice.com. The VEA will also give $25,000 to each of five National Steeplechase Association (NSA)-sanctioned meets in the Commonwealth and donate $10,000 to the Virginia Point to Point Foundation. 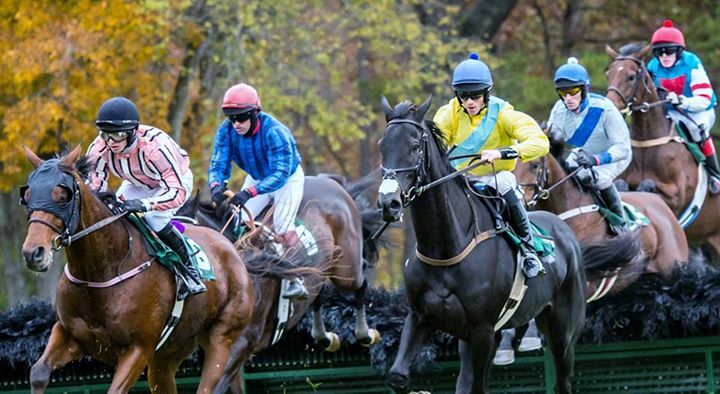 Included are the spring and fall race meets at both Glenwood Park in Middleburg and the Foxfield race meets in Albemarle County along with the November race meet at Montpelier in the Town of Orange.